Fish oil. Protein shakes. Vitamin D pills. The packages look alike. Does it matter which you buy? It certainly does, according to Labdoor, a four-year-old, South San Francisco-based startup that tests about 50 supplements and energy drinks each month that it buys off retail shelves, then ranks for consumers. What it finds might intrigue you. Vitamin C degrades in water, for example, so any water-based Vitamin C tablets are basically worthless. More than a quarter of fish oil products are rancid on the shelves, even when their expiration date may be two years out. Many protein powders don’t live up to their claims, either. Some are largely composed of amino acids rather than the 100 percent whey protein isolate advertised on the label. Others contain so much sodium that consumers confuse bloating for muscle mass. Why are these things allowed? FDA loopholes, says Labdoor founder and CEO Neil Thanedar, who says that in the case of protein powders, for example, manufacturers need only test the nitrogen content of their product. And to a nitrogen test, amino acids and why protein isolate look the same. Thanedar, who studied chemistry and molecular biology at the University of Michigan, seems almost destined to be taking on the $36 billion-dollar-per-year supplements industry. He says his father, Shri, ran testing labs his entire life, and he was intrigued from a young age in the science behind the labs. In fact, though his father had retired by the time Thanedar was graduating from college, he pulled him back into the business. “I decided I wanted to start a lab instead of get a job, so I kind of wrangled him in and we ran it together for three years and now he runs that lab independently” in Michigan, says Thanedar. While lucrative, Thanedar saw an opportunity to cater to customers and let them know what, exactly, it is that they’re ingesting. What they see is a big opportunity beyond affiliate marketing, which is how Labdoor has been making money until recently. Now, in addition to sending visitors to Amazon to buy that top-rated multivitamin (and sending Amazon a healthy percentage of its revenue), Labdoor has begun experimenting with direct sales, fulfilling orders itself or else sending them directly to the products’ manufacturers, which it aims to do more of. “Part of the issue is routine quality control. We want to make sure your fish oil is fresh,” Thanedar says. It also wants to start testing — and directly selling — cosmetics, personal care products like sunscreens, and baby food — “anything that people buy based on brand loyalty versus the actual content of the products,” says Thanedar. Like Amazon itself, it wants you to start buying these things on a subscription basis, too. That shouldn’t be as hard as it sounds. The company is already operating out of a 9,000-square-foot warehouse and plans to carve out 2,000 square feet for its tests. It also wants to get to 30 employees, the number of people who Thanedar projects the company will need to begin testing up to 100 different products each month. 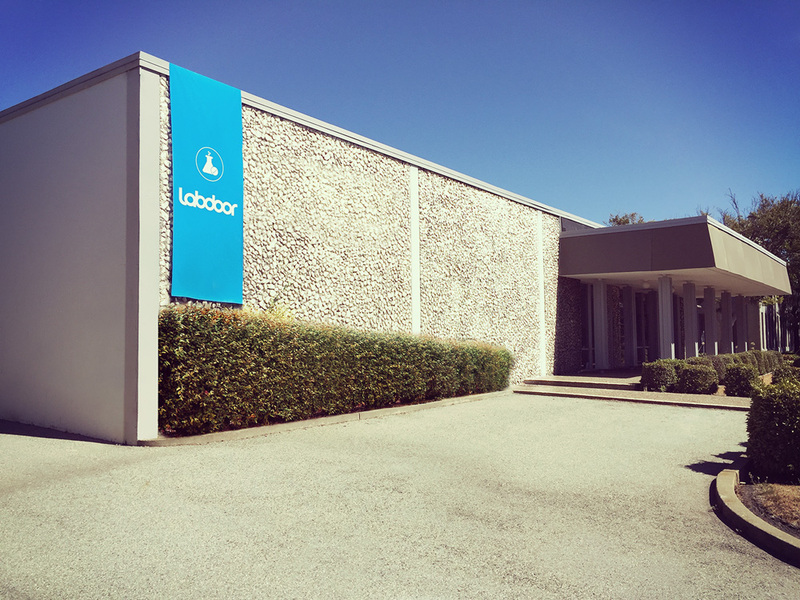 Not last, Labdoor is aiming to bolster its users, including, largely through SEO and by creating more original content. Thanedar says that roughly five million people have visited the site to date to either research a product or buy it directly, producing around $1 million in revenue so far in this year. If he has his way, that number should be increasingly dramatically soon, too.